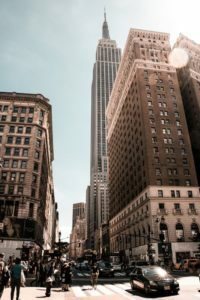 What to expect when moving to NYC? 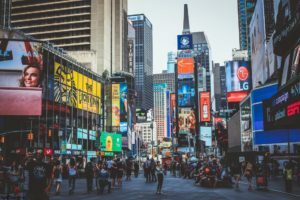 There are a few things to consider when moving to NYC and we are going to look into it. First things first, there is nothing quite like living in the Big Apple. Furthermore, some things can be quite overwhelming in case you are a newcomer. There are things you need to know to make that transition smoother and setting up camp here. Now whether you are considering relocation to this marvelous city for a new job or adventure. Any New Yorker can tell you that NYC is the greatest city in the world, they are not wrong. Better food, entertainment, well better everything than any place else. There is a saying NYC can break or make a man. That goes for a reason. We prepared a few things to put you in the right piece of mind, a few pieces of advice and hints. So, let’s dig into it, and prepare you as best as we can. Since NYC is the most populous city in the United States there are downsides that go along with that. The most elusive thing when moving to NYC is silence. A city that never sleeps is an understatement. Twenty-four hours a day, seven days a week, the city is overrun with car horns. Furthermore, pedestrians screaming at the top of their lungs. And many more sounds that make your own mind def. You cannot hear your own thoughts. In case you are moving to New York from a small town you are going to miss the sounds of birds and crickets. The city emits a unique ambiance and it takes some time to get used to it. In case you think you are going mad. Perhaps an investment in a good pair of noise-canceling headphones is what you need. Also in case you want to save cash when moving, we got that covered too. New York is a city that makes or breaks dreams. 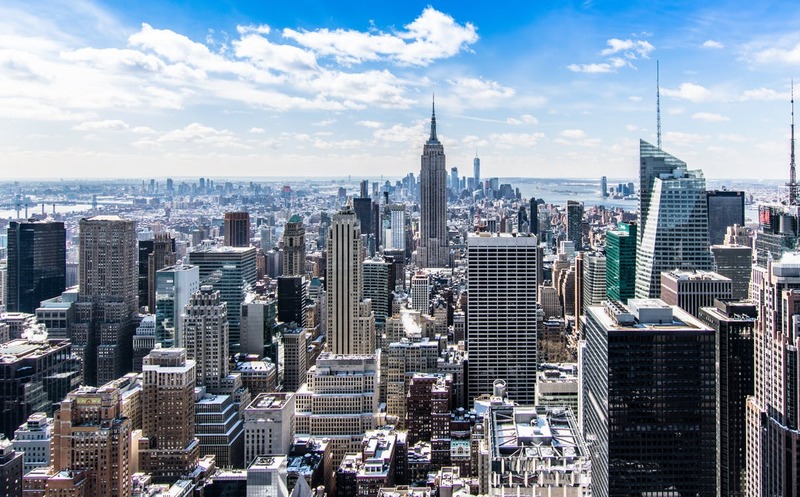 Kick start your career or your adventure with a move to NYC! The subway system is the main public transportation system in New York. Fun fact is that it is one of the oldest and largest transport systems. There are around 5.7 million riders on a given weekday. Most residents here choose subway as a primary means of transport. Moreover, it is your best friend and worst enemy and you have lots of options. In case you do not have a monthly pass, it can cost you big time. Otherwise, bikes are so fast you need to watch out for opening car doors. There are things like Uber and cabs available anytime. Furthermore, they can break your bank account. The important thing here do not rely on them too much. Another thing, there is a bus, slow but reliable. There are means of transportation available, choose wisely. Choose in consideration with your budget. You are sure to need transport no way around that. Be sure to experience some of that glamorous nightlife that NYC offers. When moving to NYC get it right, right away, there is no living on a budget. Do not plan on setting aside a portion of your paycheck for savings. You can toss that idea out the window. Unless you plan to starve yourself or spend every night in your apartment. Saving money in NYC is not a valid option. Living in New York is truly expensive. You realize that when you leave grocery that you spent 80 dollars on five items. The taxes are sky high. But there are worse things then, going broke while living in the city. Life here is well worth the cost it is simple as that. Moreover, just enjoy yourself while you are here. You cannot take money with you, it comes and goes. Among American cities, only San Francisco comes close to New York in cost. Shed a tiny tear for your bank account is a fact. Embrace the chaos of living in New York and get used to honking horns all day! When walking down the street beside at least seven people crashing into you. A smell of proper New York pizza is in the air tempting you. The first thing to check out when moving to NYC is heavenly goodness that is NYC pizza. The moment you remember forever is that first bite of a massive slice. Many locations charge 1 dollar a slice it is the best and most satisfying bargain you can find in the city. Plus there are many shops throughout the city. It is not an understatement to say that NYC has the best pizza and bagels in the world. Sorry to burst your bubble but that is true, it is no joke. You cannot escape a good dollar slice on a night out. It is a crucial thing about New York that is sure to come in handy. In case, of course, you are a pizza lover. There is no city like New York, the experience you get when living here is quite worth the expenses. It takes time to get used to all the things that NYC brings. But worry not, you are not the first one to go through this. Embrace the chaos that goes along with living in the most populous city in the States. The thing to remember here is at some point you are going to have an NYC moment. This is the best part about moving to New York. You will know when it happens. 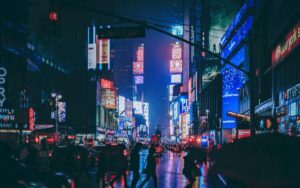 Also, be sure to experience nightlife in Manhattan you are not gonna be disappointed.